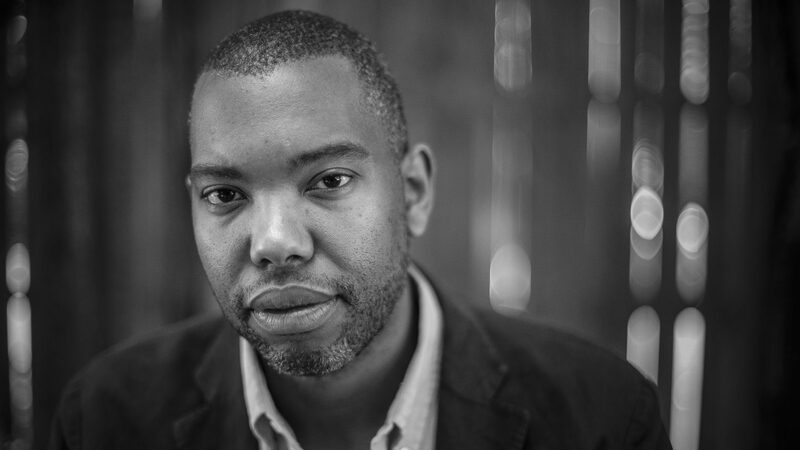 SXSW is excited to reveal the addition of Keynote Ta-Nehisi Coates, a national correspondent for The Atlantic, and the latest round of Featured Speakers to the 2018 SXSW Conference lineup. These speakers highlight some of the industry’s most inspired thinkers and diverse visionaries across 24 tracks of SXSW-curated programming. Coates joins previously announced Keynotes Barry Jenkins​ (Film Keynote), Esther Perel ​(Interactive Keynote), and whurley ​(Convergence Keynote). Featured Speakers announced today include entrepreneur and investor Mark Cuban, ABC News co-anchor and author of 10% Happier Dan Harris, songwriter and producer Savan Kotecha, Chief Scientist of Google Cloud Fei-Fei Li, The Daily Show correspondent Hasan Minhaj, CBS This Morning co-host and 60 Minutes correspondent Charlie Rose, Teen Vogue editor-in-chief Elaine Welteroth, and many more. Register to attend SXSW today! Dive into our speaker lineup below and get ready to explore what’s next in the worlds of film, culture, music, and technology during the 2018 SXSW Conference & Festivals from March 9-18 in Austin, TX. Ta-Nehisi Coates (Convergence Keynote) – Ta-Nehisi Coates is a national correspondent for The Atlantic where he writes about culture, politics, and social issues. His book Between The World And Me won the National Book Award in 2015. He is also the recipient of a MacArthur Fellowship. Coates’ forthcoming book, We Were Eight Years in Power: An American Tragedy will be available on October 3. Dave Asprey (Health & Wellness) – Dave Asprey is the founder and CEO of Bulletproof 360, a high-performance coffee and food company, and creator of the widely popular Bulletproof Coffee. He is a two-time New York Times bestselling author, host of the Webby award-winning podcast Bulletproof Radio, and has been featured on the Today Show, Fox News, Nightline, CNN, and dozens more. Jocelyn Conn, Akash Goyal, Ramin Hedayati, Hasan Minhaj, and Matt Negrin (Featured Session | News & Journalism) – Jocelyn Conn is the Senior Coordinating Producer for The Daily Show. Akash Goyal is the Vice President of Multiplatform Content Strategy at Comedy Central. Ramin Hedayati is the Supervising Producer and oversees Digital Expansion at The Daily Show. Hasan Minhaj is a Daily Show Correspondent, and a comedian, actor and writer in New York. Matt Negrin works on The Daily Show‘s Digital Expansion team and social media channels. Mark Cuban (Startup & Tech Sectors) – Mark Cuban is an American businessman, investor, author, television personality, and philanthropist. Cuban is the owner of the NBA’s Dallas Mavericks, chairman and CEO of AXS tv, one of ABC’s “Sharks” on the hit show Shark Tank, and an investor in an ever-growing portfolio of businesses. Jeff Fager and Charlie Rose (News & Journalism) – Jeff Fager is the Executive Producer of 60 Minutes, now entering its 50th season, the most-watched news program in America. Charlie Rose is the co-host of CBS This Morning and contributing correspondent to 60 Minutes. Rose continues to serve as executive editor and host of “Charlie Rose,” which appears nightly on PBS. Audrey Gelman (Workplace) – Audrey Gelman is co-founder and CEO of The Wing, a company that builds co-working and community spaces for women. Prior to founding The Wing, Gelman worked in politics and public affairs in New York and Washington D.C.
Kristina Halvorson (Brands & Marketing) – Kristina Halvorson is the CEO and founder of Brain Traffic, a content strategy consultancy; the founder of Confab Events, a content strategy conference series; and the author of Content Strategy for the Web. Halvorson is an expert in creating content strategies that fuel exceptional customer experience. Dan Harris (Workplace) – Dan Harris is the co-anchor of ABC’s Nightline and the weekend editions of Good Morning America. Harris wrote a book about his journey into meditation, 10% Happier, which became #1 on the New York Times best-seller list. His success led to his creation of a meditation app and the 10% Happier podcast. Steve Huffman with Christine Lagorio-Chafkin (Startup & Tech Sectors) – Steve Huffman is CEO and co-founder of Reddit, a social news site and the home of conversation online. At 22, Steve co-founded Reddit with college roommate, Alexis Ohanian. Christine Lagorio-Chafkin is the senior writer at Inc. whose work has also appeared in The New York Times, The Washington Post, and more. Dean Kamen (Startup & Tech Sectors) – Dean Kamen is the founder of DEKA Research & Development and FIRST® and has contributed to society through his prolific inventions and innovative contributions. Kamen’s newest mission, as Chairman and Executive Director of the Advanced Regenerative Manufacturing Institute (ARMI), is ushering in a new era of regenerative medicine and creating a manufacturing industry for human tissue and organs that will benefit the health of millions. Savan Kotecha (Music Industry) – Savan Kotecha is a Golden Globe and Grammy nominated songwriter. Kotecha has been the recipient of 9 BMI Awards, and 15 ASCAP awards. His songs have achieved number-one status all over the world with artists such as The Weeknd, Ariana Grande, One Direction, Usher, Maroon 5, Katy Perry, Ellie Goulding, and many more. Dr. Fei-Fei Li with Joanne Chen (Intelligent Future) – Dr. Fei-Fei Li is the Chief Scientist of Google Cloud, AI/ML. Li continues to hold her position at Stanford University as an Associate Professor in the Computer Science Department, and as the Director of the Stanford AI Lab and the Stanford Vision Lab. Joanne Chen is a partner at Foundation Capital where she works with passionate entrepreneurs who leverage data assets to disrupt business functions. Joseph Lubin with Laura Shin (Intelligent Future) – Joseph Lubin is co-founder of blockchain platform Ethereum, a decentralized application platform incorporating a virtual machine that executes peer-to-peer contracts paid for via micro-payments of the cryptocurrency ether. Laura Shin is a Forbes senior editor managing crypto and blockchain technology coverage. Shin is also the host of the Unchained: Big Ideas From The Worlds Of Cryptocurrency and Blockchain Podcast. Tim O’Reilly (Startup & Tech Sectors) – Tim O’Reilly is the founder and CEO of O’Reilly Media, Inc. O’Reilly Media delivers online learning, publishes books, runs conferences, urges companies to create more value than they capture, and tries to change the world by spreading and amplifying the knowledge of innovators. Steven Pinker (Intelligent Future) – Steven Pinker is an experimental psychologist and one of the world’s foremost writers on language, mind, and human nature. Currently the Johnstone Family Professor of Psychology at Harvard University, Pinker has also taught at Stanford and MIT. His upcoming book is entitled Enlightenment Now: The Case for Reason, Science, Humanism, and Progress. Alisa Vitti (Health & Wellness) – Vitti is the founder of FLOliving.com, a virtual health center that supports women’s hormonal and reproductive health and the creator of MyFloTracker.com, the first biohacking menstrual app that uses functional medicine and phase-based recommendations to make your period better over time. Elaine Welteroth (News & Journalism) – As editor-in-chief of Teen Vogue, Welteroth leads Teen Vogue‘s editorial vision, while also expanding the brand’s presence through new consumer experiences and products. Welteroth is largely responsible for the expansion of Teen Vogue‘s coverage to include a wide range of feminist, social-justice, and political topics, alongside fashion, beauty, and entertainment news. Registering for SXSW is the only way to experience these high-profile sessions. With expanded access to events for all registrants, attendees will receive primary access to programming associated with their badge type but now also enjoy secondary entry to most other SXSW events. Let us be your SXSW spirit guide – take the Tracks Quiz to select SXSW Conference programming tracks and SXSW Festivals that most interest you to discover the perfect badge for you. Book your hotel with SXSW Housing & Travel to get the best available housing rates and selections. Great downtown accommodations are still available for all SXSW dates. Stay tuned as we continue to announce more exciting programming throughout the season! Sign up for SXSW Event Updates and follow us on Twitter, Facebook, and Instagram to stay in the SX know. 2018 SXSW Conference Keynote, Ta-Nehisi Coates – Photo by Gabriella Demczuk.